Clean easy length as you would expect. Strong move off the dry with a lumbering core motion. I want to see what the SonIQ can do but it’s really easy to get to the pocket. The Storm SonIQ is towards the upper-mid price and therefore I’m balancing the price to bang for the buck. It will be fairly versatile so it will be a decent middle to upper end slot in the bag. The Storm Son!Q uses the Centripetal HD Core weight block wrapped in the well known R2S pearl coverstock. Cover is finished in the usual 1500-grit polish factory finish. 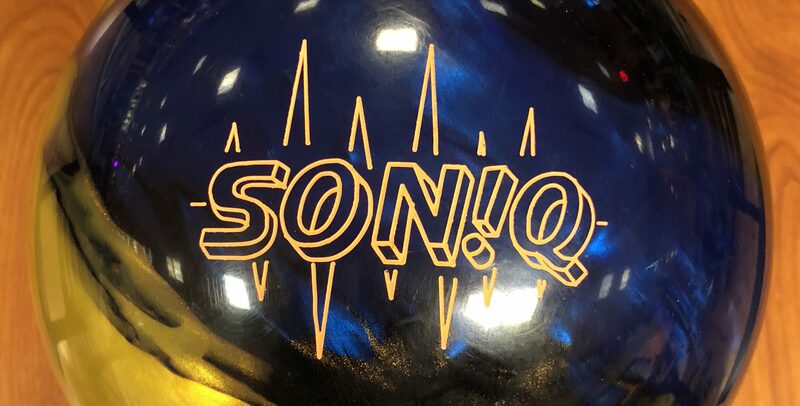 The Storm Son!Q pronounced “sonic” continues with the highly successful Centripetal shape and the highly successful R2S Pearl cover. I will say that I somewhat expected it to be more than the sum of it’s parts but it’s 1+1 here. That’s still pretty good. The core is more dense making it one that wants to roll early. The cover pushes it easily downlane. You see that easy skid that’s typical for Storm with the pretty quick reaction off the dry. However, you can also see the the heavy lumbering core in the reaction. Because it’s rolled quite a bit there’s a touch of this skid, hook, set motion. To some extent it felt like maybe the core can use a touch more oil to avoid rolling out but then the cover probably not, so not 100% sure. I feel like it’s one of those, crack the 1500 grit polish factory finish and it will match up better core to cover. But then, are we encroaching in the Marvel Pearl? More on that later. I’m testing first and it’s like I said earlier. R2S sometimes feels skid/flippy for me but the core smoothed out the flippy nature. I felt like this combination also took a little bite away at the pins, not at the transition from hook to roll. Using more side rotation seem to accentuate that. Less side rotation really seemed to show off the aggressive punch of the ball through the pins. The set motion just rolls a bit heavier that way. Honestly I had no trouble getting to the pocket whatsoever. I just wasn’t totally certain about carry. Compared to the Marvel Pearl, the Marvel Pearl is really much smoother, balancing the earlier roll while still maintaining good drive through the pins. They cover similar boards but do it in a very different way. Actually, it reminds me the magic the Marvel Pearl creates. My first instinct is that some amount of surface could make this ball what they really wanted it to be. Doug was next and he really liked the shape of the ball reaction. It again was clean but rolly enough. You could see the sharper reaction to friction downlane. He had a really good look to the pocket. Carry was again a little tricky. Some shots that looked great didn’t carry and others that were so-so carried, but they all got to the pocket. You don’t look at a glossy ball and first think, “safe pocket ball”. However, it’s a good sign when a ball is easy to get to the pocket because you either have the carry or you can decide what reaction to move to next. Almost like a benchmark ball. Sean is our high rev tester. He goes through his progression from more direct to deep inside. It was clear that the ball is way too reactive to dry boards to play more direct than 3rd arrow. But he was able to play between 3rd and 4th arrow. The ball was again pretty quick reacting to dry boards but also the transition from hook to roll was quick with the ball fairly easily getting to the pocket but drive depended on finding the right balance. Honestly, this looks like we could get better drive if we had a longer pattern or changed the surface. Bryan tests the Soniq and he knew where to start because the Marvel Pearl is his benchmark. For him, he can play the same zone as the Marvel Pearl as the delta isn’t big between the two balls. However, the Soniq is cleaner and snappier and where he had forgiveness with the Marvel Pearl, he lost it with the Soniq. Misses outside were too quick reacting to dry boards going high. Trying to move in yielded softer hits. I’m trying to reconcile what we all saw and it’s clearly a matchup issue to the condition. For all bowlers, something that reads a bit more aggressively or earlier would yield better carry. The ball was clearly easy to get to the pocket for all of us. And it’s not an issue of the ball being weak because it’s plenty strong. This finish simply wasn’t the best match up to this volume and length house pattern. Doug had a pretty good look on the sport shot. He liked the shape of the reaction. Once he got lined up it wasn’t very difficult to get to the pocket with pretty good carry. This much shine is not ideal for fresh sport shots but this is broken down a bit. Even so, not hugely so a little more surface might give the same strong roll with just more control at the breakpoint. Sean had a pretty good look. For him, shiny is not a huge deal on sport shots even with moderate traffic but he did have to get very deep. However, the ball has both hard motion off the dry boards and the heavy roll. Since that brings it close to the shiny asym characteristics, the Soniq was in his wheelhouse. Bryan tests and he also had a good look to the pocket. He could stand on a similar line to his Marvel Pearl but had the benefit of using the harder motion off the dry to open up the angles and get the ball to bounce off the dry more aggressively. As expected his Marvel Pearl is smoother. I had to step back and opine on what we saw with the Storm Son!Q. I recalled how when I first got a HyRoad years ago, I wasn’t happy with it at the outset. Why? I felt like the ball was too strong off the dry boards, making it a bit sharp downlane. Once I had some play with it, I fell in love and the rest is history. I feel like the Soniq has the potential for the same fate. I really want to see that shine off and allow a smoother transition, taking advantage of both the clean nature of the R2S cover and the rolly nature of the Centripetal HD Core. The fact that everyone could find the pocket very easily bodes well. The fact that we would want to change surfaces adds a level of uncertainty but we know for a fact surface changes are very effective on R2S. The heavy roll but strong motion off the dry made the Soniq even better on sport than house for us. I think a little more volume or length on the house shot would give the Soniq a better look. 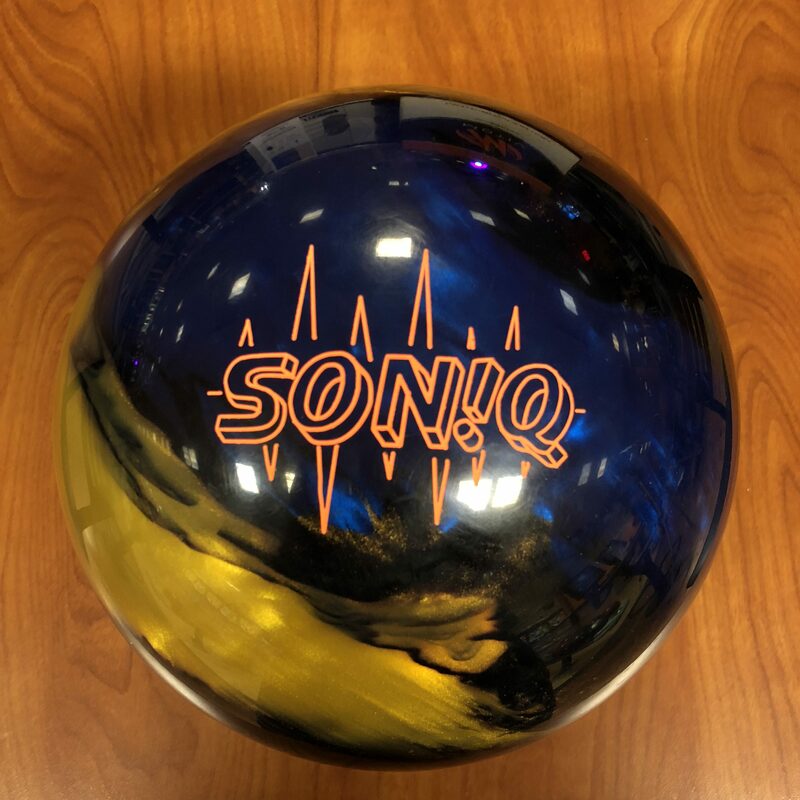 If you are informed about what you’re getting here, you can make the right decisions on how to fit this ball in your arsenal and what surface changes if any might be needed to get it where you want it to be. Let’s not lose site of the fact that is is pretty difficult to get a flippy motion while still maintaining a heavy roll and that’s what Storm accomplished here.